Menwith Hill is one of the United States’ most important overseas bases, playing an integral role in the broader strategy of US global power projection. Nominally an RAF base, it is operated and controlled by the National Security Agency. Established in total secrecy by President Truman in 1952, the NSA is responsible for all US signals intelligence (SIGINT) activities, essentially the interception of electronic communications, both military and commercial. During the Cold War, the NSA rapidly expanded its operations and established a global interception network with intelligence analysis at its headquarters in Fort Meade near Washington. The MoD purchased nearly a square mile of farmland and moorland near Harrogate in the 1950s, in preparation for a US SIGINT base. 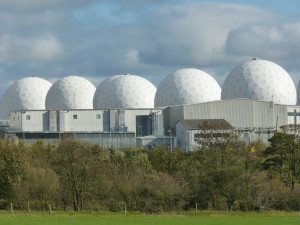 But it was only after the development of satellite technologies that Menwith Hill took on its (in)famous characteristics, with giant radome/golf ball structures. From a total of four in the early 1970s, there are now over thirty, reflecting the growth in satellite communications and the base’s interception capabilities. Personnel numbers have also expanded from 400 to over 2,000, mainly US military and civilian personnel and US contractors, supplemented by UK civilian workers and an unspecified number of GCHQ personnel. Essentially, Menwith Hill is run as an American enclave, with its own facilities and with the highest security clearance reserved for senior DoD personnel and US contractors. Despite operating in total secrecy, the base attempts to project a positive relationship between itself and the local community, emphasising, in particular, its economic contribution. According to the American authorities, expenditure by base personnel, contractor work, etc, is worth over £100 million a year to the local economy. This is a highly dubious assertion but serves a useful public relations exercise in deflecting attention from its main roles in SIGINT, ballistic missile defence and new forms of intelligence-led covert warfare and special operations. The fundamental issue is how the NSA has carried out a secret, multi-billion dollar investment programme at its regional centres to take advantage of advances in technology for integrated intelligence using electronic interceptions and satellite imagery. The NSA and other US intelligence agencies represented at Menwith Hill are now capable of overseeing ‘real-time’ military operations, identifying low-visibility targets and coordinating special operations forces and remote control technologies like drones. 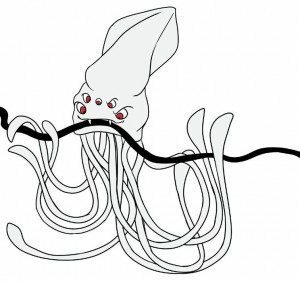 This is described by US strategists as ‘tightening the kill chain’. 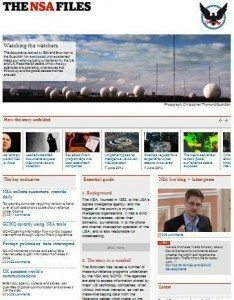 What is nominally an RAF base is really an American ‘death star’, carrying out illegal forms of electronic spying and warfare over which there is no democratic accountability and very little debate. The only solution is to challenge the legitimacy of a foreign power occupying a large area of Yorkshire countryside. For more information and detail on the role of Menwith Hill, and how the ‘golf balls’ work, this report by Ryan Gallagher published in 2016 in The Intercept, is a good summary. In April 2012 Yorkshire CND launched our research on the strategic role of Menwith Hill (including surveillance, intelligence led warfare and missile defence). 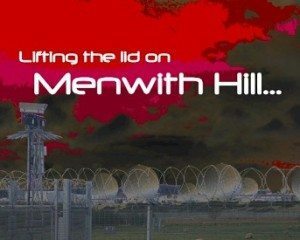 “Lifting the Lid on Menwith Hill”, pieces together over 30 years of research into the subversive activities of the US spy base, spanning military documents, whistleblower evidence, European Parliamentary evidence and investigations by journalists and peace activists. Altenatively a paper copy can be mailed out to you by contacting the office on 01274 730 795 or info@yorkshirecnd.org.uk. 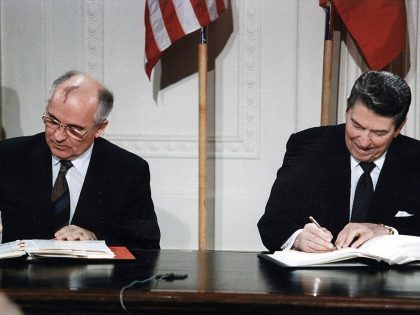 In October each year – during Keep Space for Peace Week, an international week of protest called by the Global Network Against Weapons and Power in Space to focus on the connection with the US Missile Defense (Star Wars) system and as the US concept of “Full Spectrum Dominance”. Each year on 4 July – ‘Independence FROM America Day” – check the MHAC website for details. 44, Saint Clement’s Road, Harrogate, HG2 8LX Phone: 01423 540 423. 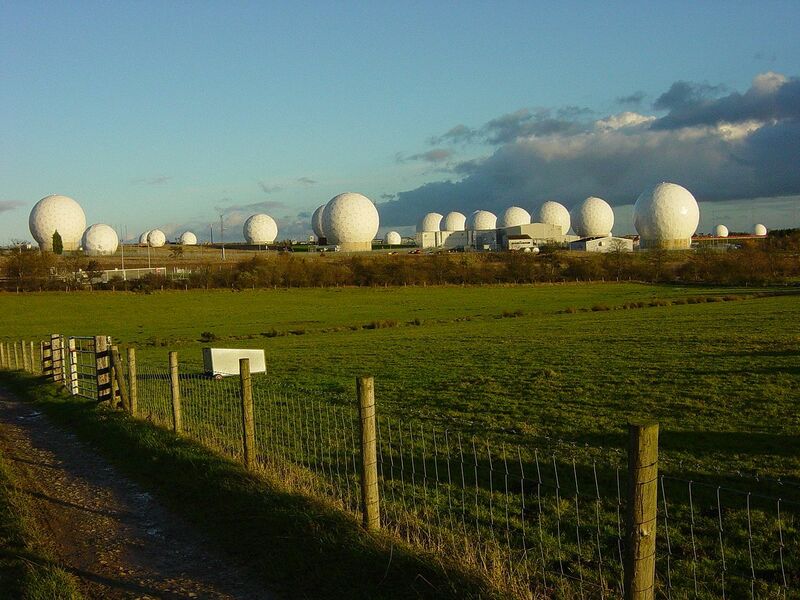 This Yorkshire CND report is written by Dr Steve Schofield and highlights the rapid growth of the US Spy Base, Menwith Hill, over the last decade and its widening role in new forms of intelligence-led warfare. 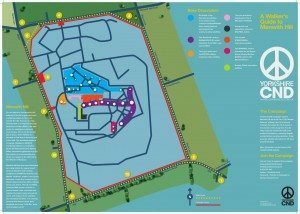 The report lifts the veil of secrecy surrounding the activities of the base near Harrogate in North Yorkshire, including its role in the wider US missile ‘defence’ programme, and lays bare the lack of democratic accountability and negative economic impact of this US Spy Base on British soil. 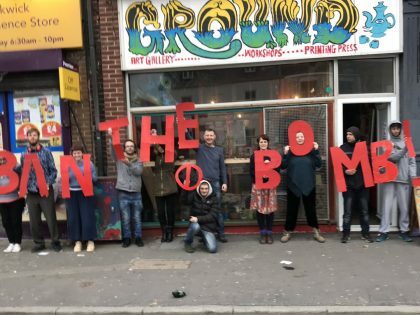 Available as a download or as a booklet from the Yorkshire CND shop. A Walker’s Guide to Menwith Hill – a comprehensive guide to the sights along the 4-5mile walk around the base. 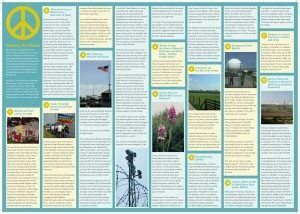 Can be obtained as a leaflet from Yorkshire CND. No matching events listed under Menwith Hill. Please try viewing the full calendar for a complete list of events.